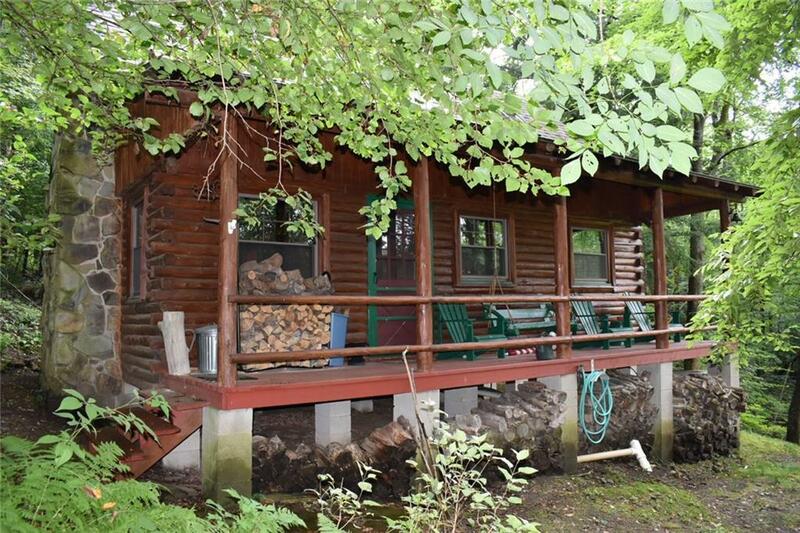 A log cabin that is compact, but quaint and functional in all respects. A beautiful stone fireplace adorns the livingroom area. The kitchen is complete with propane stove, propane refrigerator and running water throughout the camp. 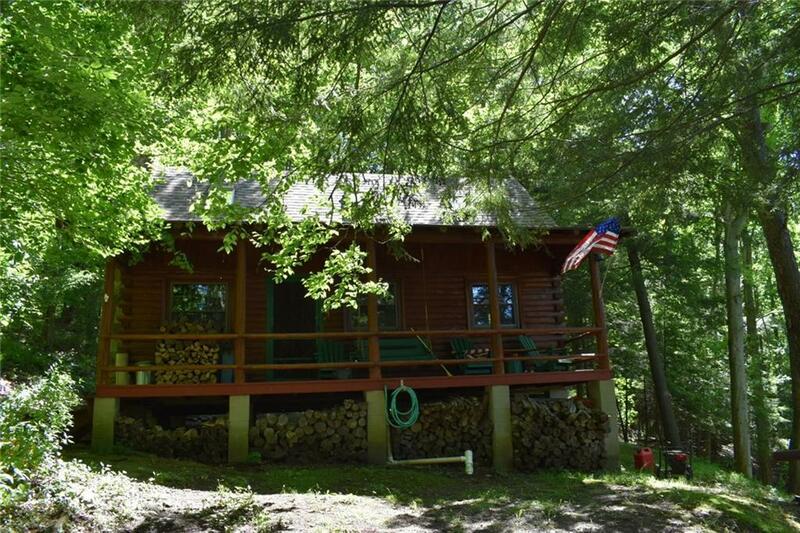 There are 2 bedrooms on the main floor and an open loft with two beds. The knotty pine interior, hardwood floors, tongue and groove pine on the ceilings along with the skylights in the loft add the warmth and lighting to this cozy camp. Propane light fixtures are found in all rooms. 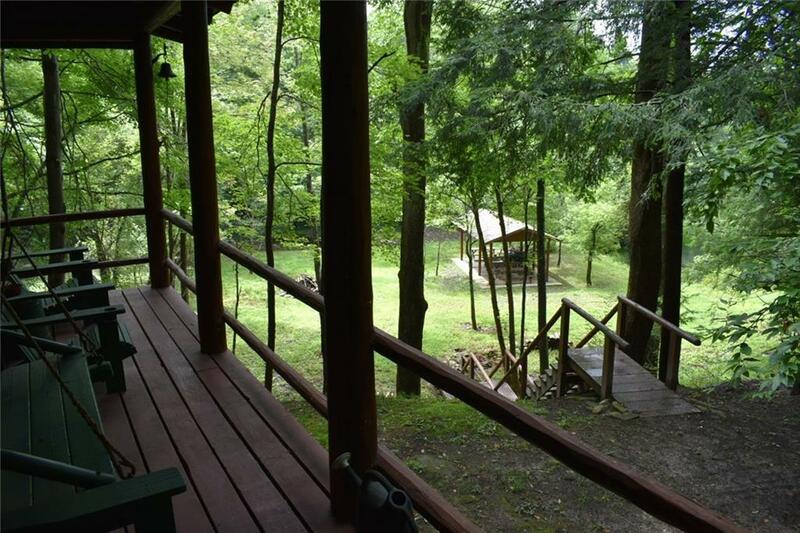 There is a acre stocked pond with a picnic pavilion and a stream. 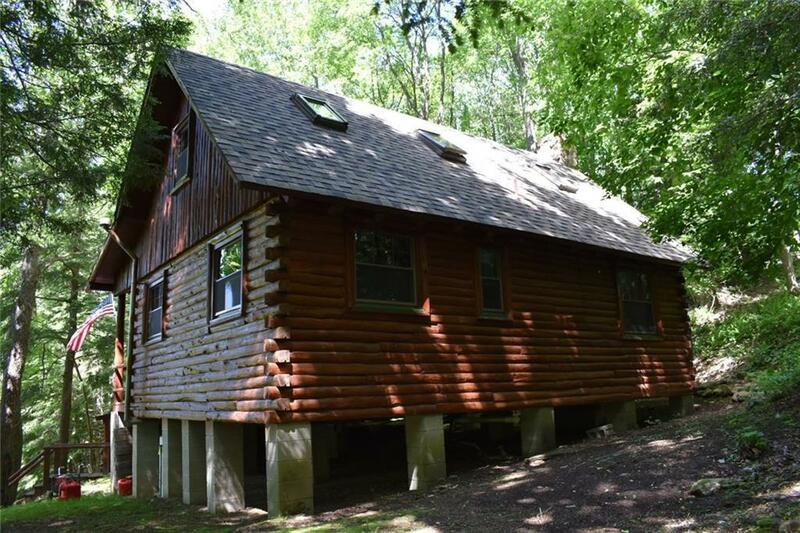 The balance of the property is entirely forested with currently $35-$40,000 worth of timber. Trails throughout the property.